Joseph-Armand Bombardier started building his first creation when he was a teenager (in 1922), it was an open concept sled with a Ford Model T engine pushing a propeller in the back...legend has it that his father was concerned with his safety and ordered its destruction. 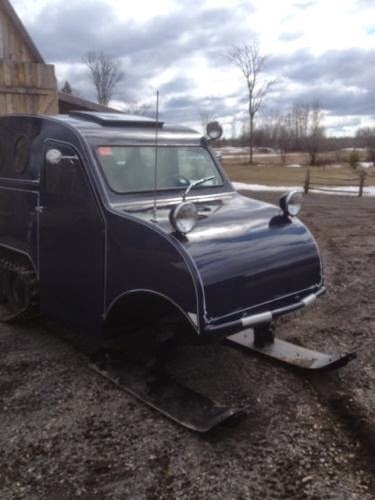 Bombardier did not quit his dream of building passenger snowmobiles, and in 1937 he started production of the B7 fully enclosed snowmobile which eventually transformed into the commercially successful B12 and later R12 models. Bombardier eventually went on to be a household name for his inventions of the Ski-Doo & Sea-Doo, but that is a story for another time. 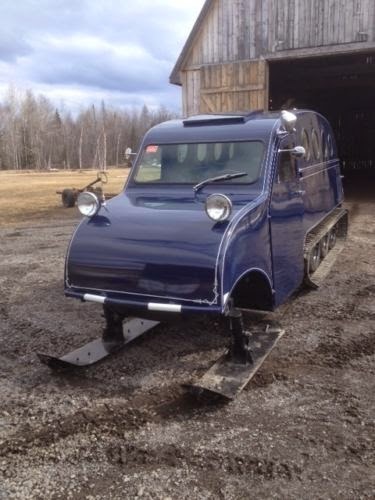 Find this 1955 Bombardier R12 currently bidding for $10,000 CAD ($8,353 USD at time of printing) here on eBay located in St Norbert, QC, Canada with 6 days to go. 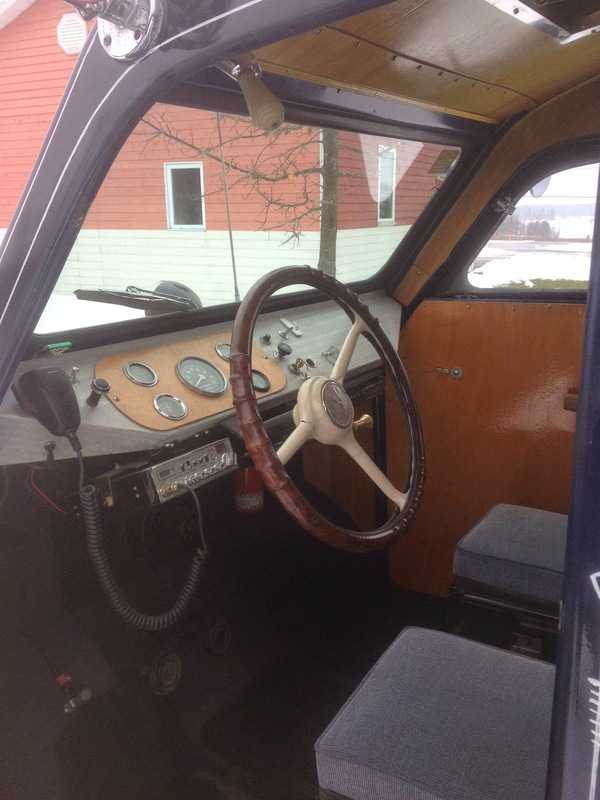 The Bombardier R12 has seating for 12 passengers, a set of skis up front (that can be exchanged for rubber tires for on road use) and twin 4-wheeled tracks for forward motivation. The R12 uses a Chrysler built flathead six-cylinder from a Dodge truck mated to a 3-speed manual transmission. Sales of the R12 slowed down as plowing roads became more common throughout winter locales, but continued with minor changes through 1979. This is a real piece of Quebec history. It is hard to remember that road maintenance was so different within living memory (well, if you have lived a fair little while). These days, even up here in Canuckistan, it is rare for the average driver to face even a regular snowy road, thanks to industrial strength salt, spread by veritable squadrons of plows. This Bombardier takes us back to when a good snow storm would have isolated you unless you had access to something like this. Now that is AWESOME. I'd bet this vehicle is the subject of some great stories. Can't help but love the look of this. 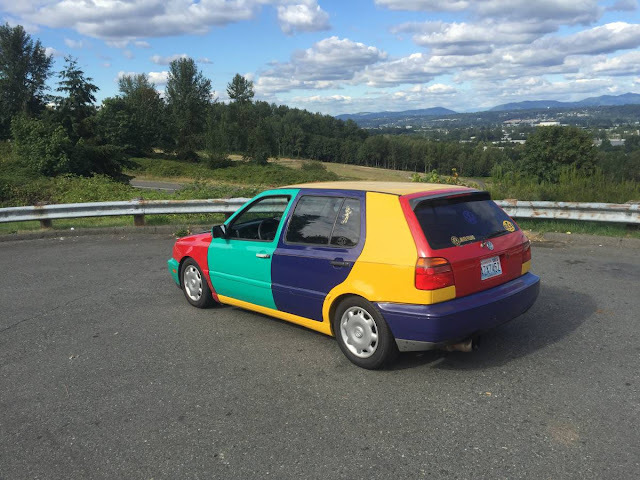 Ad description says he's asking 25K. Presumably CAD. Interesting machine but a Farmall F-20 is somewhat higher on my list. Nicest one I've seen and there are still a number of these doing commercial fishing duty up here in my corner of the wilderness. 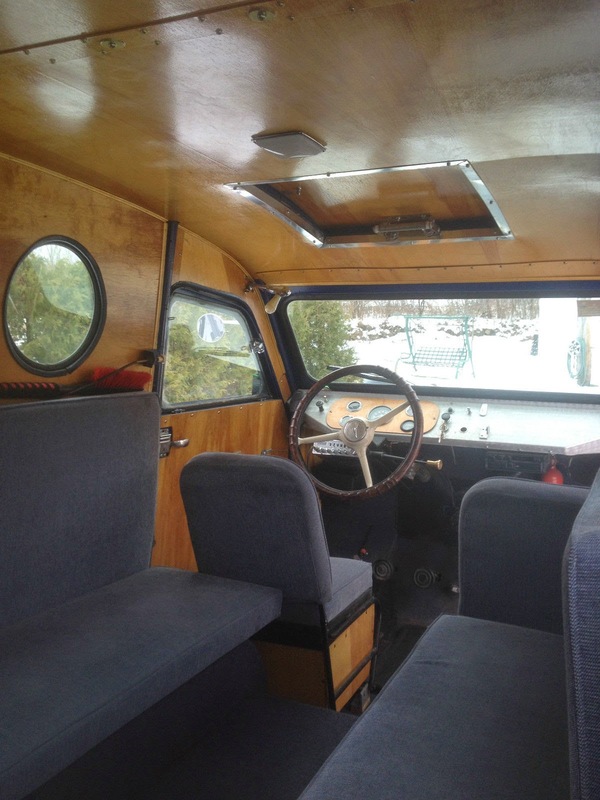 An interesting vehicle but for the $25K ask, the seller could have done himself a huge favour and included, both, many more larger format photos and a comprehensive description of the work performed during the restoration. It would be a fun vehicle to own, and you'd probably be the only kid on the block to have one !